Following the fall of the Celtic Tiger, Ireland is roaring back thanks to a booming tech sector and a digital-savvy workforce. 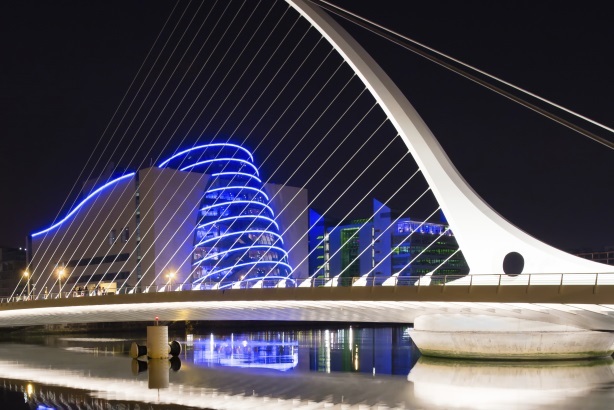 Ireland isn’t all green rolling hills and Guinness – it has the fastest-growing economy in the European Union and a burgeoning technology landscape. 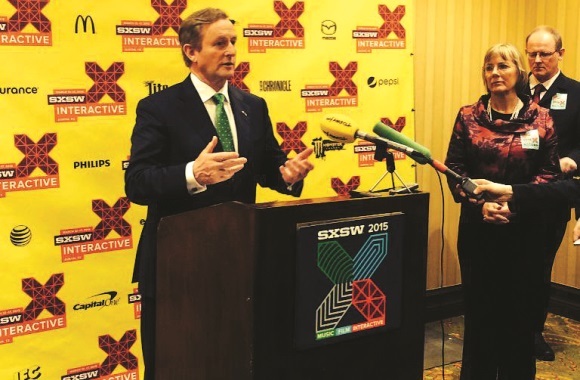 In March, Ireland opened a consulate in Austin, Texas, during South by Southwest Interactive, citing the city’s similarities with Dublin, such as its large youth population, tech growth, and popular music scene. A number of organizations represented the country at SXSW including Music from Ireland and industrial development agencies Enterprise Ireland and IDA Ireland, which brought a number of startups to the event, from digital postal service Green Letterbox and crowdfunding event platform Gigstarter, to news aggregation site NewsWhip. Kevin Sherry, manager of Enterprise Ireland’s high potential startup and growth engagement division, says the government agency opened its own office in Austin two years ago as a way to support young companies and help them build international partnerships. With the mix of Irish tech startups and powerhouses such as LinkedIn, Facebook, Google, and eBay having European headquarters or offices in Ireland, the country is well-positioned for growth in the tech sector, he adds. "A lot of Irish company technology is actually b-to-b because companies in Ireland started out providing solutions to multinational companies based here that have globalized their businesses," explains Sherry. Enterprise Ireland is supporting software services startups, particularly those working on direct currency conversion technologies. However, Sherry notes that mobile apps are growing because Ireland has high average revenue per user, driven by its young citizens, which makes it conducive as a test market for apps. Wilson Hartnell, which is part of Ogilvy Public Relations in Ireland, works with The Digital Hub – an incubator in Dublin that fosters tech startups. Brian Bell, MD at the WPP firm, says a lot of the recent innovation and creativity in the tech space has been influenced by American companies located in Ireland and US investors and venture funds. The country has a large number of educated, digitally savvy people, so government agencies are also supportive of the fertile industry. One challenge, Bell says, is getting startups to grow amid the tech giants in the Silicon Docks area – part of Dublin known for its tech scene similar to Silicon Valley. The young brands often don’t survive or they’re taken over by international companies. This doesn’t deter the firm from working with The Digital Hub’s startups, Bell adds. In fact, staffers sometimes mentor the businesses for free with the hope that if they become successful, they’ll hire the agency. Wilson Hartnell works with a wide range of clients such as Diageo, McDonald’s, Marks & Spencer, and Aer Lingus. The firm also does business with Pfizer and recently has seen an increase in healthcare briefs, he says. Sherry says Enterprise Ireland has noticed rapid growth in medical technology and devices and healthcare IT. At the end of October, the organization is hosting a conference called Med in Ireland, which will showcase the latest med-tech capabilities of Irish companies. He expects healthcare IT to continue evolving and provide "more intelligence to the consumer and more capabilities and diagnostics through mobile devices." Another highly anticipated event in Dublin is the Web Summit in November, says Michael O’Keeffe, CEO of Dublin-based PSG Communications, which was formed in 2014 following a merger between Pembroke Communications and Slattery Communications. Execs from companies such as Amazon, Twitter, Cisco, and Google spoke at last year’s conference. While the two aforementioned events will take place in Dublin, O’Keeffe says Galway is also a tech hub, home to companies including Boston Scientific, Medtronic, HP, and Cisco. The town of Dundalk, Louth, also houses European operations centers for both eBay and PayPal. PSG counts big name brands including Expedia, Microsoft, Canon, and Under Armour as clients, but it also launches startups. In 2014, the agency helped launch Hassle.com, an online platform to find trusted home cleaners, and PSG got online food delivery service Deliveroo off the ground this year. O’Keeffe notes that Ireland’s economy is coming out of recession and is doing well, but the media industry is still challenged. With newspaper and print sales in decline, agencies have to think more about digital content. Additionally, Jonothan Sultan, Canon’s marketing manager in Ireland, says "there’s not a huge amount of media to target, [so] PR pros really need to be strategic and creative with their campaigns." LinkedIn, which has grown in Dublin from three staffers in 2010 to more than 600 across a variety of functions, is seeing an obstacle on the talent front, explains Anoek Eckhardt, senior corporate comms manager for EMEA. She adds that LinkedIn has the capacity to grow to 1,200 staffers in Dublin in the future, but EMEA communications is handled out of LinkedIn’s London office. Edelman manages PR for LinkedIn in Ireland. With the growth of the tech industry, Eckhardt says Ireland is facing a "battle for talent" in the years ahead. Though the economy continues to improve, the recession still had a major impact on the marcomms industry, and "it’s been survival of the fittest," says O’Keeffe. He expects to see an influx of M&A because small, independent Irish firms are "very exposed" and have a better chance of enduring as part of larger companies. Predicting Ireland’s comms landscape in the years to come is also difficult, says Bell, but he believes many of the changes will be led by new technologies, devices, and channels adopted by consumers. "There will be a need for content that is quick, agile, and people can interact with," Bell explains, "because it is customers that are going to drive marketing spend."